This article is the third in a series about buying and selling used LEGO. 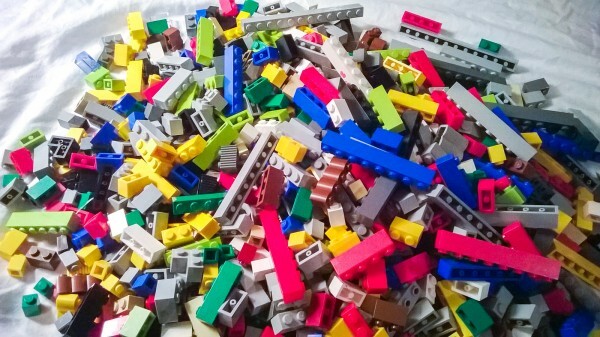 In my previous article, I looked at strategies to get a good deal buying bulk unsorted Lego. Hopefully there are some complete sets buried in the buckets you bought, but before we can start sorting the bricks into their respective sets, we will need to sort them to see what we’ve got. Disassemble random creations (left), but place partially assembled sets aside for later (right). This article assumes that the bricks you purchased are largely unsorted and disassembled. Bricks that are snapped together should be disassembled during the sorting process, unless it looks like part of an official Lego model which you should set aside for now. (A kid’s half-assembled “MOC” or My Own Creation isn’t going to help you determine which sets you have.) I will go into the process of sorting bricks into specific sets in my next article. Before you start sorting, take a few minutes to consider how your sorting goals. This will depend on your philosophy, the containers you will use to hold the sorted bricks, and the number of bricks you need to sort. For example, you might choose to sort a small collection of bricks by color alone, but you might want to sort a large collection so precisely that every different color of every different part has a separate container. When I started sorting, I thought that I would sort by rough type and color. For example, put all the 2×2, 2×3, 2×4, 2×6 bricks of the same color in one bag. Once I started sorting the bricks into specific sets I realized that it is better to sort by brick type than color, since it is a lot easier to find a red 2×2 brick in a large container of 2×2’s than finding a 2×2 in a large container of miscellaneous red bricks. If you are sorting a lot of bricks, sort by brick type first. You only need to sort by color if you have too many bricks to fit them all in a single container. An “Algorithm” is a computer science term for a repeatable process to solve a problem. In our case, the problem is sorting a ton of Lego, and we want an efficient system for getting it done. If you need to sort a lot of Lego, it will be impractical to sort everything into their final storage location in a single step. That’s why I chose a two-pass system which first quickly sorts the bricks by general part type, then I can sort them more precisely later. Since I purchased the bricks on Christmas vacation, I had lots of time to begin the sorting process away from home. (It was football season and I don’t care that much for the sport.) As such, I did a lot of my sorting into 1 gallon Ziploc bags which I could purchase inexpensively from the Grocery store. Large plastic bins would be easier if I had them available. The goal of the first sort is to set aside all the similar parts like this. When the initial sort was complete, I ended up with about 30 gallon-sized bags full of bricks. I had only a single small bag of Jumpers and Cheese, and but I had many one-gallon bags of 1×1 Bricks, 1×2 Bricks, Technics and Bionicle. Using the Lego Ruler and Sorting guide to sort through larger parts. I don’t know about you, but I can easily distinguish a 1×2 from a 1×3 at a glance, whereas I need to count the studs to pick out a 1×12 from a 1×10. Technic axles are even worse! To make this precise sorting a lot easier, I designed and printed a Lego Ruler and sorting tool which I discussed in a previous article. I highly recommend using this to sort larger plates, bricks and Technics parts. Even if your long-term goal is to sort the bricks back into the sets which they came from, you will need to temporarily store them in their sorted state. I looked into and tried several solutions, so you can pick the method which best meets your needs and budget. Ziploc Bags – You could sort everything into small Ziploc bags if you want. In my experience, a 60 pound collection will result in at least 200 bags containing all the parts of a given type. This is feasible if you have a large floor you can use. In my case, I made room in the center of the room to sit, and surrounded myself with 4 rows of individual bags of bricks on all sides. If you fold the lip of each bag over, the bag will sit up more easily and will stay open so you can see the contents from above. Hobby Boxes – Hobby shops sell plastic bins with a lid which fold over for sorting crafts. Most have removable dividers allowing you to adjust the size of each bin. This approach works okay, especially of you have sub-sorted each part by color, but it can be cumbersome if you need to find the one light-blue part in a tiny compartment since you can’t dump the container out without dumping all the parts out of their cubbies. I use this approach for my collection of White bricks for building Architectural models, but don’t recommend it for quickly finding and sorting bricks to recreate a large number of sets. 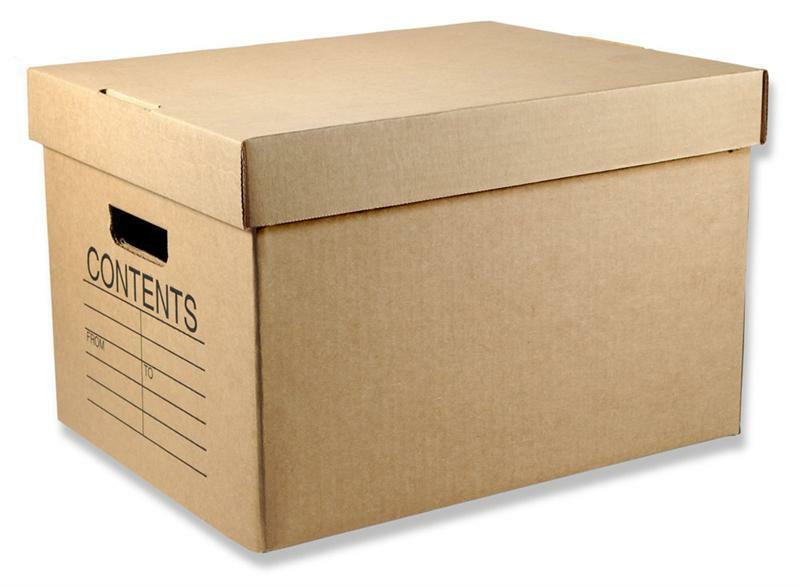 Drawer Bins – Several companies sell storage units which consist of many removable plastic drawers. I found these to be ideal for this project, as you can see the contents of each drawer since they are clear, and they can be removed and dumped out to find a stubborn part of a specific color. As a picture speaks a thousand words, I wanted to show a few photos of my finished sorting and storage system. My Lego parts are sorted into these stackable drawers. As you can see, I am using five Akro-Mils plastic drawers. I have two units containing 64 small drawers which are perfect for fiddly bits like Technic pins, clips and hinges. I have three units with 24 large drawers which I use for Bricks and Plates, since they are more common parts. I also use them for Minifigures and other larger parts. I don’t have a great storage solution for big parts like wheels, large plates and BURPS, so for now I’m using a few large plastic drawers and some gallon Ziploc bags. Each drawer has been carefully labeled. I have painstakingly labeled almost every drawer using a Brother PT-1230 label maker. It allows you to print labels from your computer on waterproof labels. I created the stickers quickly using images from Bricklink, but they have worked well for me so far. I might share the files I used to print all the labels if that would be useful to people. 4/2/2014: I am pleased to share the files used to create these labels. You can find the link to download and print the labels in this article: Printable labels to sort your LEGO collection. I hope you find them useful! I hope you found this article interesting. 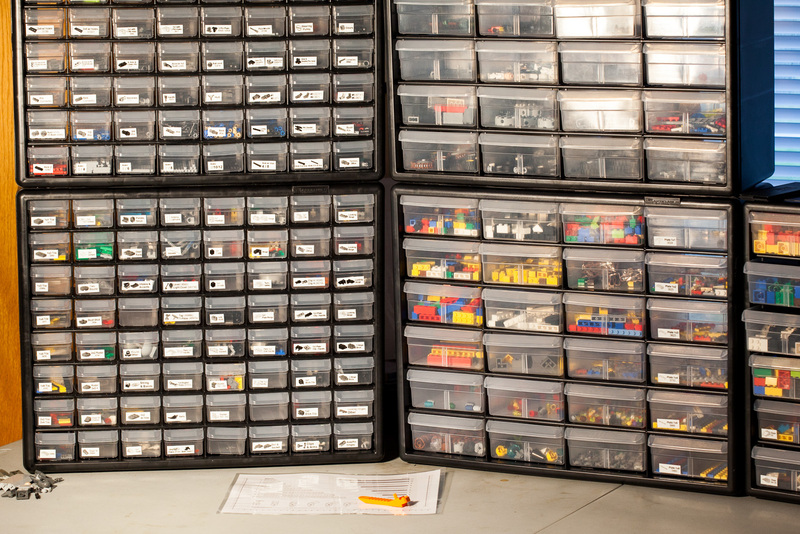 I’m very curious to hear the processes other use to sort a lot of Lego – do you do a two-pass sort also? Do you have a different way to store your sorted bricks? If you liked this article, please share it or leave a comment below. Thanks! as an AFOL with a 5 year old son and 8 year old daughter, this is useful info for me! I am the sorter/organizer of the house. I also use drawers similar to yours, but I also use some of the larger “file” sized drawers for bricks, large plates, wheels and so forth. Found it at walmart and the drawer sizes are something like 9x12x3. I would love it if you could share the images you used for those stickers, my son is constantly pulling drawers because he can’t see what is in there. Great set of articles on this topic. I found your site through the Brickset forum. I’m looking forward to using the sorting sheet and your sorting method on a future Craigslist haul. Will you be continuing this series and allowing for us to know how you pieced sets together and eventually sold them for profit (I hope)? Will you be continuing this series and allowing for us to know how you pieced sets together and eventually sold them for profit (I hope)? Glad to hear you are enjoying the articles! Yes, I definitely plan to complete the series of articles. I expect at least three more articles, one looking at the process of determining what sets you have and separating out all the parts, one looking at how to efficiently buy missing parts to complete your sets, and one looking at selling the complete sets and potential returns. Thanks for the suggestion on the label, I too just bought the Brother label printer, I would like to know how you got that bricklink photo’s done on the label. Also thanks very much for the guides to measure the plates and technique parts those are useful. You are right about akro mills , they fit perfectly for legos. I find it helpful to sort the pieces according to sequence, ie I have 6 AkroMills boxes one box are just for 1×2 and its variety, 1×2 w/ 1 hole, next 1×2 w/ 2 holes, 1×2 with studs, clips, cross hole etc. This is really dependent on the amount of legos we get. I too need to read your tips on CL deals . will go thru that soon. thanks again. Tom, can you please send me the file you used for printing please? I am following your organized example. I officially exited my “dark ages” with your help. Gotten back into it now that my 6 and 3 year boys are getting up in age where we can enjoy these together. My mom gave away all my sets so I have been on eBay buying bulk and a few old favorite sets. Appreciate all your labels and suggestions. Been printing for my AkroMills boxes. Great suggestion! Thanks and keep the blog going!! @Phineas Bresee, Glad to hear that these articles have helped you get started, and that the labels have been useful. I will definitely keep posting interesting LEGO articles here on the blog! You are my soulmate! I went through the same process you did, even down to rejecting the “by color” sorting method. I use Sterilite 1.8 qt plastic shoe boxes that I modified with cardboard and a glue gun; I can get 2, 3, or 4 compartments from each box. I sort by type, ignoring color, and I then use a “math” solution for storing them – 1X’s first, 2X’s, 3X’s… I did not label them yet, as I keep findiing types I need to insert into the system. In fact, I am starting a charity – The Giving Brick, Inc – that will attempt to collect donated used LEGO, clean and sort them back into sets, just like you did, only we will gift them to needy kids. As I plan for funding options, I think I may add a plan to sell sets too, depending on the used LEGO we can get and if we can put the models back together in the right color. For our pilot year – this holiday season – we packaged 10 sets all over 400 pieces. Some of them are in a different color theme than the original, since we are working from donated pieces. Still, we package them up nice, with instructions, and give them to foster kids caught in the system who have very little during the holiday season. We hope to gift 15 sets next year. Anyway, you are a kindred spirit. Please let me know if we can “converse” more so I can learn from your experiences. Tom, thanks for that template. It works wonders. I went a different approach for finding sets. I used a four pass sorting method, and finally inventory. By creating an inventory on rebrickable dot com, the website actually tells you what sets you are close to having by the percent! It is very time consuming but I am developing my own patterns as I go. I did however sort by color first, then stacked all the bricks and plates together from large to small (leaving gaps in the plates in a fan like pattern) after that it was a matter of sorting all the small and odd pieces. This process makes it very easy to inventory finally. Only problem after doing all that inventory is not wanting to part with them! My main goal is to build the super star destroyer by buying a lot, sort, sell lot….. repeat. It is just taking longer than I thought but I am still having a blast doing it. I will use your tips to keep funding my habit! Great article. For the pre-sorting, I have a collection of those plastic containers from my local Chinese Takeaway. 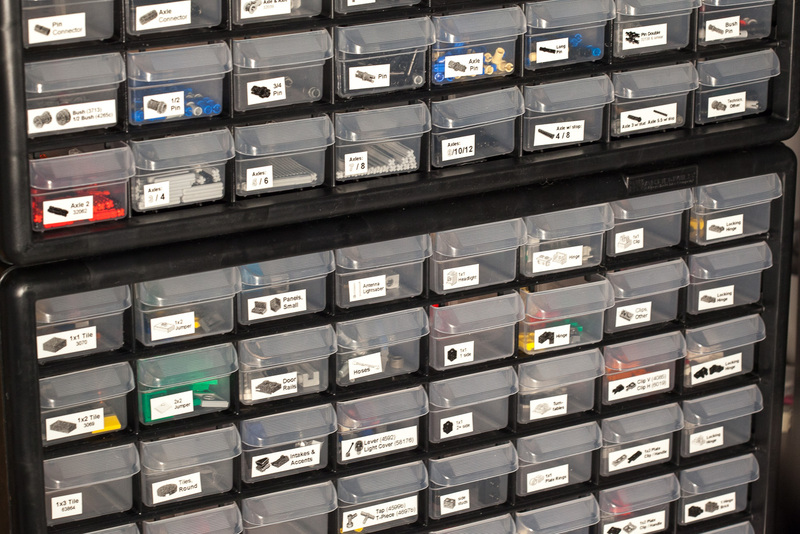 They are cheap, and really helpful for sorting into categories – eg 1×1, small technic, minifigs, small plates etc depending on what you’re sorting. Also helpful for sorting after dismantling my MOCs. Just wash them thoroughly first! I’ve used the same method to sort large bins of legos. Another tip that I use is to pull aside any unusual pieces and look up the item numbers on peeron.com to identify the set that it came from. You can also print out a parts list from a site like this or even from lego’s site and then put together a complete set. 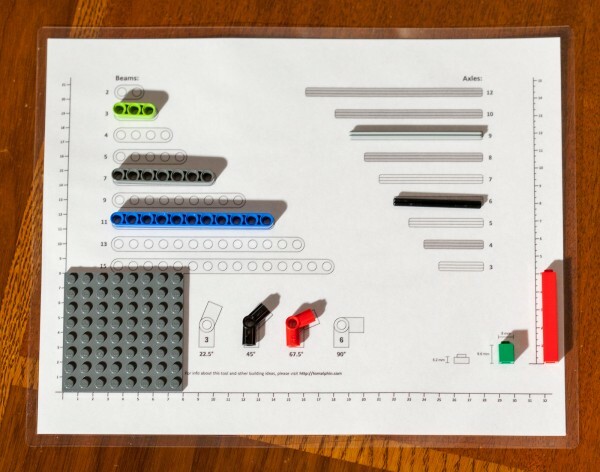 Lego’s site also allows you to print out instructions. I’ll typically go to bricklink to buy the remaining pieces that are missing. I once bought a huge bin of legos that ended up having Green Grocer, Market Street and about a dozen other sets that were nearly complete. I ended up making about $2000 on it. I am inappropriately excited about finding your site! I have been in search of a lego management solution for a long time and find your approach to be the best I’ve found. Thank you for sharing the files for the labels! Great Article really looking forward to the follow up articles that you mentioned. Maybe someone else will write articles explaining tips for using minifigs and obscure parts to guess which sets you have, or tips for finding the missing parts for the best price using Bricklink and Brick Wizard tools. trouble selling these? Let me know when you can. Hello, Tom. I am a 68 year old retired high school principal who has been working with Legos for the past four years. I have three grandsons who have joined me in assembling Lego City sets. I recently became interested in Lego Architecture sets because I wanted to build “buildings” and not just vehicles, which seem to populate Lego City sets. I had previously assembled a few Architecture sets with the grandsons and recently purchased the Lego Architecture Studio set, Lego Architecture: The Visual Guide, and your book, The Lego Architect. Reading your book inspired me! It fired me up! I bought two Akro-Mils storage units for the Architecture Studio set, and will soon be purchasing the label maker you recommend. Your website is great! 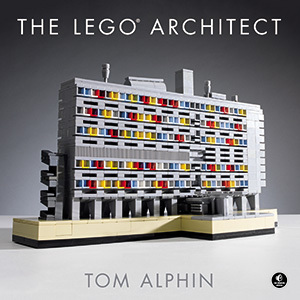 You have turned me on to Lego Architecture. David, I love hearing stories about how my web resources, printable labels, and my book have inspired others to build LEGO creations of your own and explore the world of Architecture. I hope you stick with it, and share your MOC’s with the world: Online, or by attending your local LEGO conventions! Quick question, I see you used 5 of those Akro-Mills storage units, about how large is your collection? I have about 110 pounds of Lego and I am trying to figure out roughly how many I would need for my Lego. Thank you so much! Your articles are really helpful! Doug, I have a lot more cabinets than seen in these photos, check out http://brickarchitect.com/labels for more current photos showing my 12 cabinets which all have labels! 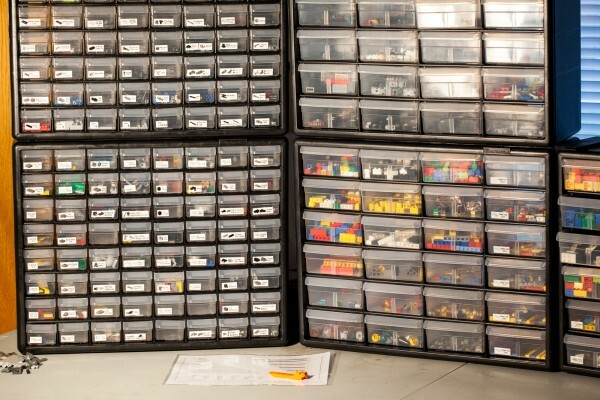 If I were to guess, 100 Pounds of LEGO will require about 10 cabinets, plus a few small rubbermaid bins for your most common parts, and another small box for extremely rare parts that you have only one or two of. Good luck and happy sorting! You are brilliant and so generous. Thank you! This site is an example of everything that is good about the internet–a talented guy with passion and ideas willing to share what he’s made to help others grow in his passions and learn from his experience, while at the same time tastefully, and honestly making known that there is a commercial product (book) available. Thanks for being a point of light on the web! Thanks Mike. I try to ensure that all of the content I post online is of high quality, and try very hard to make people aware of my commercial projects without making it seem like a sales pitch. I’m glad to hear that you think I am balancing these goals well. Thank you so much for this site! My brother and I are interested in starting a small business buying and selling used Lego bricks, but we have been trying to figure out the perfect system for a long time. I appreciate that you are willing to help others. Your article is very clear and concise. Great stuff on here, looking forward to dive into some big lots in hopes of finding sets to sell. I’m curious what you typically end up doing with all of the sorted “extra” pieces that don’t belong to set? Do you sell them at all or just hold on to them to augment the incomplete sets you come across? Thanks for sharing. Interesting stuff – I was looking for sorting tips (I have storage sorted) and this was very useful. I was searching for advice on whether it was easier to do several passes when going through a bulk lot and you seem to have confirmed that it is! I have a large collection of Lego in the Pittsburgh area that we are looking to start selling. We have probably a hundred manuals and all of the bricks, broken down and separated in bins by color. This includes a ton of minifigs. Can you give us suggestions on best ways to post?